Last month I was in Melbourne for 12 days on a sketching vacation. I feels like a long time ago because it always seems to take weeks for me to get around to scanning and posting all my sketches. So finally, I can now share them all with you. and here in an Issuu version so you can flip through every page. 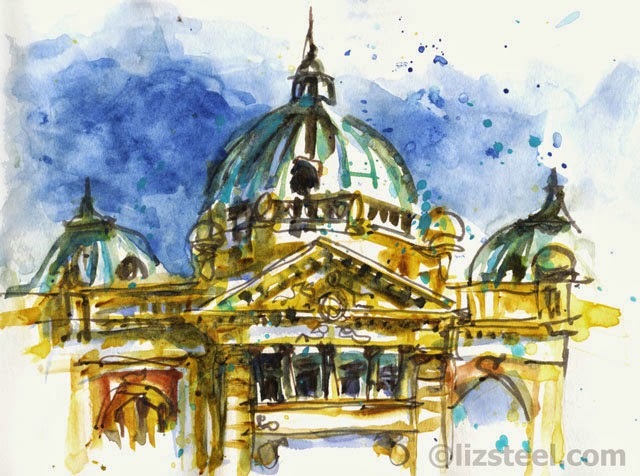 As always with a trip to Melbourne I managed to sketch Flinders Street Station(FSS) a FEW times (this is an understatement! 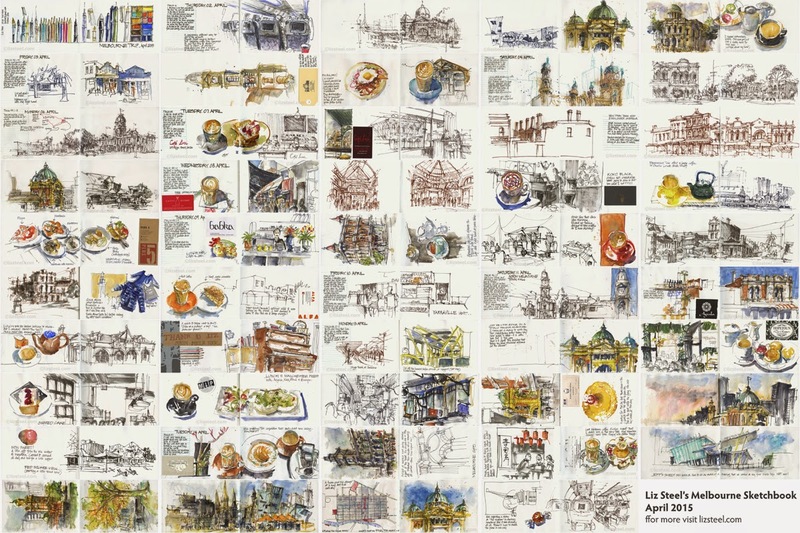 )… in fact I do try to sketch it every day I pass by it - one day I sketched it three times! The opening image was my last sketch for the trip just before I headed to the airport and this ink sketch was done immediately after arriving. 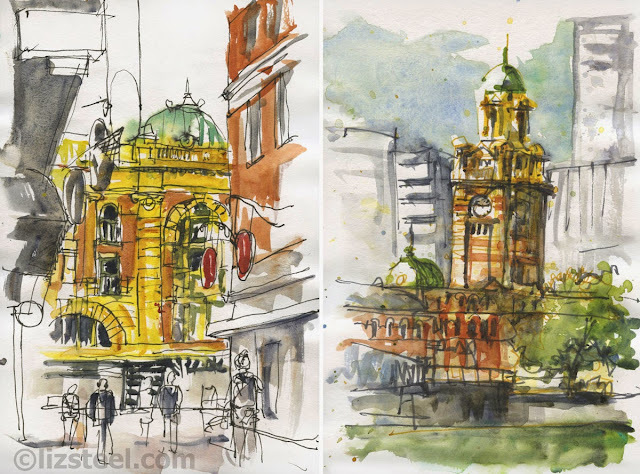 I also sketched it from other angles - from looking down one of Melbourne's famous laneways and from the other side of the Yarra River. Yep! I am have a chronic FSS problem! 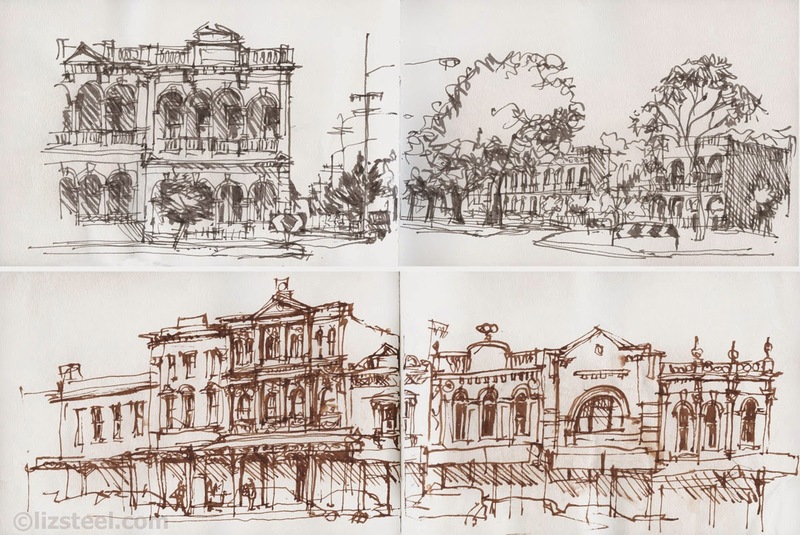 I continued my recent trend of sketching bigger street views in ink only - East Melbourne in a grey ink and Swan St Richmond in brown ink. Both were done using a Sailor pen with a Fude nib. I also visited a lot of cafes and drank a lot of coffee. The coffee in Melbourne is amazing, however I think the tea is better in Sydney. Many of these cafe visits were in the great company of Urban Sketchers - Chris Haldane from Sydney, Paul Wang from Singapore or any number of the amazing local Melbourne Urban Sketchers. We were certainly looked after very well! 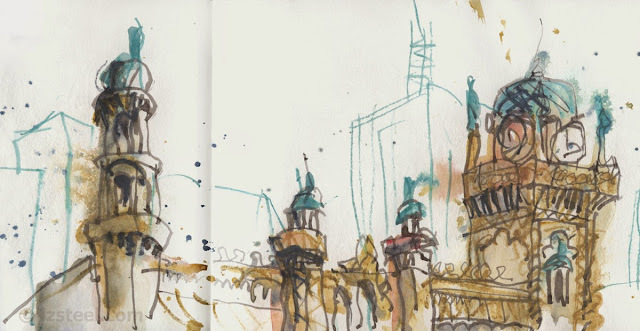 The biggest thing about this trip for me was the fact that my sketching was limited. I know that it doesn't look that way from the quantity that I achieved, but my left hand was out of action for a few days (recovering from an injection that I had a few days before the trip). 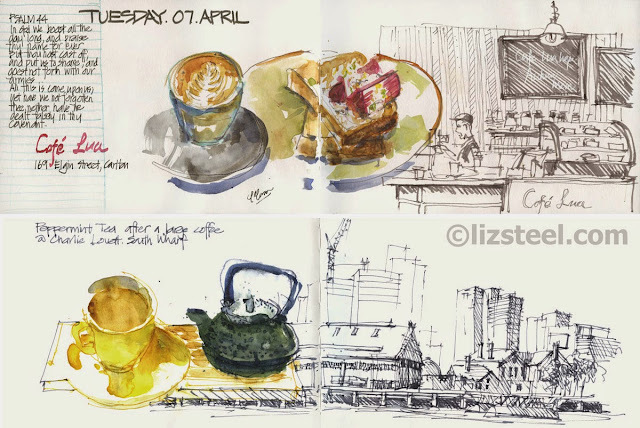 As a result I did a number of sketches using my other hand (right hand)! If you want to read more about my trip please visit my blog. As always I learn so much when I go on a sketching trip and come home with new ideas - these are summarised in my Seven Reflections from my Melbourne trip.